The low-cost iolinker FPGA board is a preprogrammed device that solves IO problems for microcontroller developers with minimal time investment. FPGA’s have a tendency to scare people off, for the serious development time and know how involved in getting far is often uneconomic, particularly in an increasingly powerful microcontroller and Embedded Linux world. 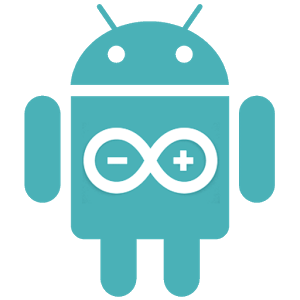 Yet, developers using Arduino, Raspberry Pi & Co. are faced with limited interfacing capabilities and pin counts. This is why the iolinker FPGA board is preprogrammed and useful for everyday users from the start. It comes with libraries for microcontrollers and PC and a web interface, that makes using it a charm. The FPGA functions not just as a chainable IO and PWM extender, particular focus has been put on an “IO linking” feature, that allows to dynamically pass through high-speed signals between IOs, better than any microprocessor ever could. This basically opens up the opportunity to simply wire up all critical signals to the iolinker device, and load up vital parts of the schematic onto the FPGA — during runtime, over UART or SPI. What’s more, since all IOs can be repurposed, voltage levels can be read and confirmed for self-test purposes *before* wiring up digital signals. Essentially, wiring can be kept in software and changed in real time. For prototyping purposes, this is a dream come true. Instead of fiddling around with jumper cables, uncertain wiring can be kept in version-controlled software, streamlining the development process. On new PCBs, iolinker can save unnecessary and expensive prototype iterations or modifications. And in final products, it can increase flexibility, allow for self-testing, or even self-testing plug ‘n’ play buses.